Whilst Christmas brings joy to many, for others it can be a time of loneliness, hardship and depression, bringing with it an increased risk of suicide. It is also a particularly vulnerable time for those who are sleeping rough – in 2009, overnight temperatures dropped to a record low of minus 17.6 degrees. When one of our team volunteered for some shifts over the Christmas period for Lifeshare in Manchester and brought our attention to the incredible work they undertake for homeless people, we wanted to help too. Through staff donations and fund matching from the Directors at Harts, we collected enough money to buy and fill 12 care packages. 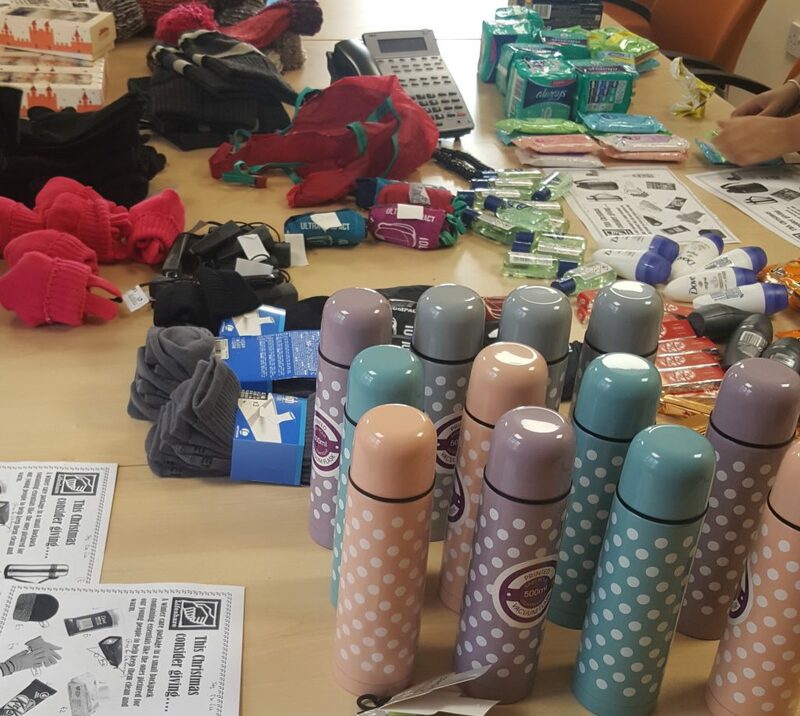 The winter care packages are contained in individual small backpacks and include essentials such as; a torch, flask warm hat, gloves and scarves, handwarmers, chocolate bars and toiletries (including feminine hygiene items, wet wipes, hand sanitizer, deodorant etc).